1. Becoming Woman or Sexual Difference Revisited. 2. Zig-Zagging Through Deleuze And Feminism. "Wonderfully thought provoking, highly stylized, and imaginatively written." "Replete with situated, embedded figurations, Metamorphoses is a book to grow with. Emergences, transformations, and materialist becomings of all kinds are the subject of this rich philosophical work. Insects, women, philosophers, cyborgs – promising monsters all, and all are enlisted in drawing up a cartography of becoming. 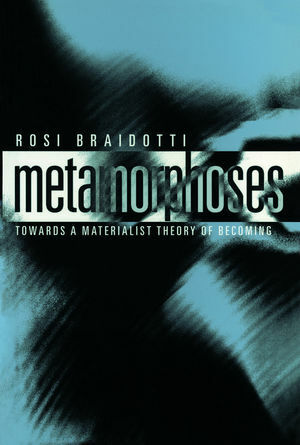 Braidotti writes with enormous energy and style. Never forgetting the subject structured in sexual difference, she searches for figurations that can guide us to emergences more attuned to justice, pleasure, and historical specificity. This book warms my biophilic heart, as it informs my feminist soul and gives pleasure to my embodied mind."